Formac/Lorimer Publishing - Ampersand Inc.
Formac publishes books about Canada’s Maritime provinces or by Maritime Canadian authors. They publish for readers in the Maritimes, and beyond.They aim to produce the most beautiful, most innovative, most challenging, most technologically sophisticated books coming out of the region. 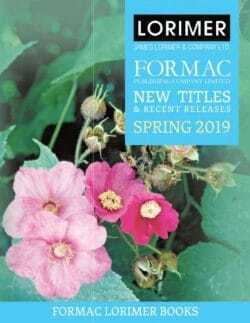 For more information on Formac/Lorimer Publishing, contact Ampersand.